For each of the four graduates, there was a brown canvas tool belt, hardhat, hammer, level, tape measure and other tools of their new trade: carpentry. 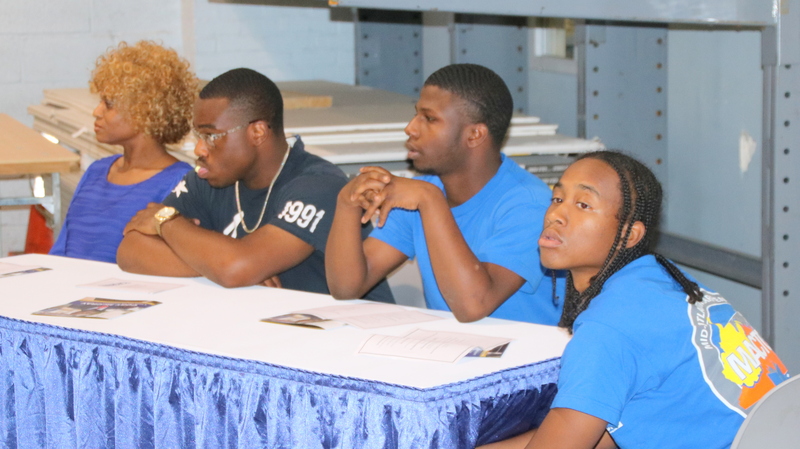 Three men and one woman from Baltimore had just completed a pre-apprenticeship program entitling them to enter one of the Northeast Regional Council of Carpenters’ four-year apprenticeship programs. For Neko-Whitfield-Smith, an 18-year-old graduate of Carver Vocational-Technical High School, the decision to become a carpenter and to join Local 177 felt like a natural next step. “It was a craft I really took a pride in,” said Whitfield-Smith, at the luncheon ceremony held at the union’s training center in Halethorpe before family members and dignitaries including Secretary of Labor Kelly M. Schulz, City Council President Bernard C. “Jack” Young and City Councilman Ryan Dorsey. 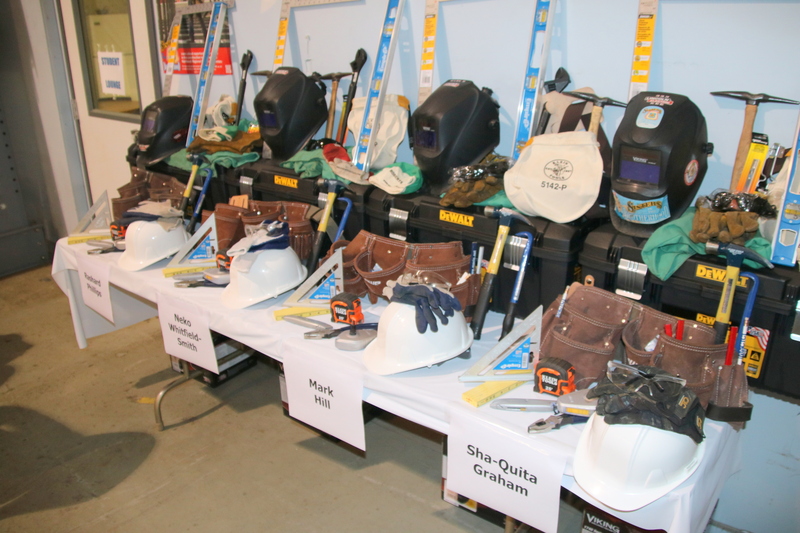 The luncheon, sponsored by the NRCC and the Mid-Atlantic Carpenters’ Training Center, marked the end of an eight-week program of classroom and hands-on training in mathematics, occupational safety, hand and power tool skills, concrete construction and welding. Upon completion, the graduates can pursue a career in carpentry through Local 177 or enter the specialty Local 179, for Dockbuilders and Piledrivers. For Whitfield-Smith, the apprenticeship means a chance to help his family with the income from a good union job – and down the line to maybe use his connections to help his brother do the same. “I told my little brother, since he’s taking up carpentry, that when I get my foot in the door and know some people, I’ll get him a job,” he said. Delegate Cory McCray, delivering the keynote speech, said the program helps address one of Baltimore’s most critical problems – unemployment and the lack of jobs for poor city residents. 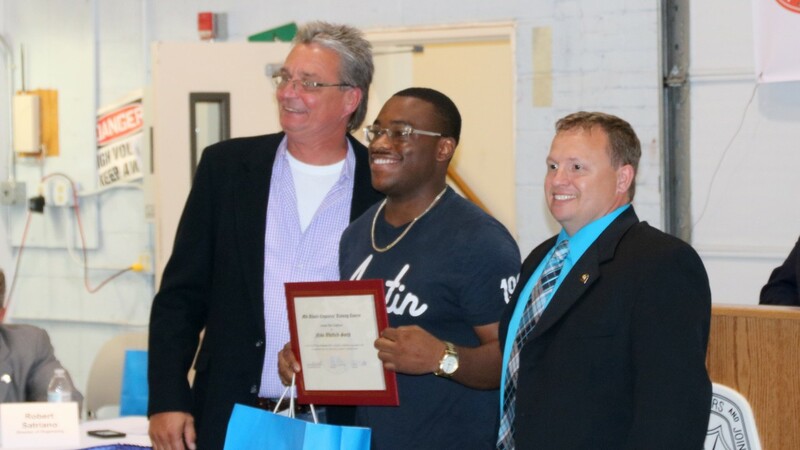 Finding a route to success through a union apprenticeship after his troubled formative years, the licensed electrician used his own story to inspire the graduates. John Barber, president of Local 177, also said he sees their program as a chance to lift up the job-starved sections of the city. Although unemployment in Baltimore is about 6% overall, in particular neighborhoods it is dramatically worse. City officials starting up a mobile employment van program recently said they identified 14 communities where unemployment is 50% or higher. “We know there’s a lot of struggles for individuals in some communities that for whatever reason don’t have the opportunities of others,” Barber said, speaking with the Brew. The program, which included regular fitness classes each morning, was physically demanding for the four carpenter-trainees. It was so tough, Whitfield-Smith said during his graduation speech, that he sometimes felt like quitting. 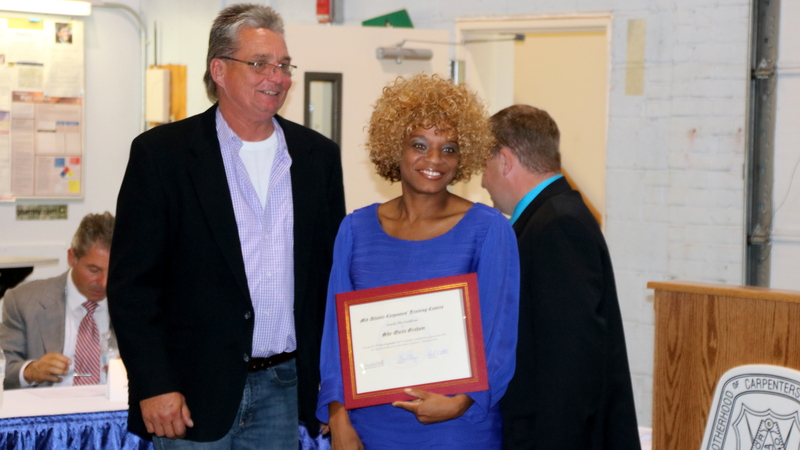 The other graduates were Rashard Phillips and Mark Hill, both also 18, and ShaQuita Graham, 40, who has done two other apprenticeships in the past and has worked as a residential maintenance technician. Graham, who plans to specialize in Dockbuilding/Piledriving, said she felt like a mentor for the three young men in her program. “I had to talk to them about a few things in different avenues and what to expect,” she said, explaining that this was a big opportunity for their futures. In her remarks, Graham recalled how the kind gestures among the students went both ways. The boys helped her when she struggled to recall standard high school math, for instance. Although the four weren’t paid a lot while doing the pre-apprenticeship, they received weekly $50 stipends. Graham said from her experience, entry level carpentry jobs pay $16-$18-per-hour currently, much higher than it used to be. The main thing the four have in common, Graham said, is the satisfaction of learning they know will have an immediate practical payoff.